Thank you for using Carbon Car Systems!! The following information is our Delivery and Returns agreement and outlines how we handle all shipping and returns of product orders placed with Carbon Car Systems. When using or participating in the Carbon Car Systems website you are accepting the terms of the following Delivery and Returns Policy. 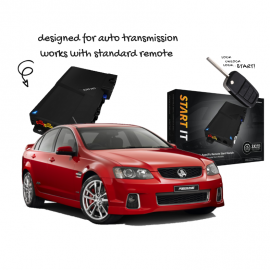 Carbon Car Systems uses Couriers & Australia Post as our primary delivery method but on occasion use other methods should this be faster, more affordable or more convenient. To keep our product prices as competitive and as simple as possible Carbon Car Systems uses postage calculators on check out to give you an accurate shipping price. Express services are available on checkout as specified by the postage calculator. 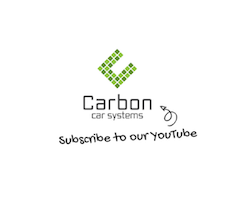 All orders placed at Carbon Car Systems will include a order number and also a tracking number. All orders are shipped with couriers and Australia Post once the item has left our warehouse it is in the control and responsibility of the carrier. Carbon Car Systems does not ship to Parcel Lockers or PO Box’s as all orders must be signed for. This is a requirement of our insurance policy. All products advertised on Carbon Car Systems are generally in stock and ready to be shipped, unless there has been an inventory count error or the item has been damaged in any way. Our kitted items rely on imported products to build them and these individual parts can be delayed by customs or export shipping rules. Products must be returned in their original unused & unopened condition for full refund. If you are unsure about any of the information in this document please feel free to contact us anytime via eBay messenger service. Products may be returned for a store credit and / or replacement if you change your mind if products are brand new in a unopened re-sellable condition. Items that are damaged damaged during delivery or appear to be faulty may also be returned. 1. You must notify us within 30 days of receiving the product if it is damaged or faulty on arrival. 2. You must return the product as new and without further damage & a copy of receipt. 3. Return costs are the responsibility of the purchaser unless item is faulty or damaged in shipping. 4. You will receive a store credit for the amount of the item or a replacement item. If Carbon Car Systems makes changes to any terms or conditions of this Delivery and Returns Policy, the changes will be posted in this document.